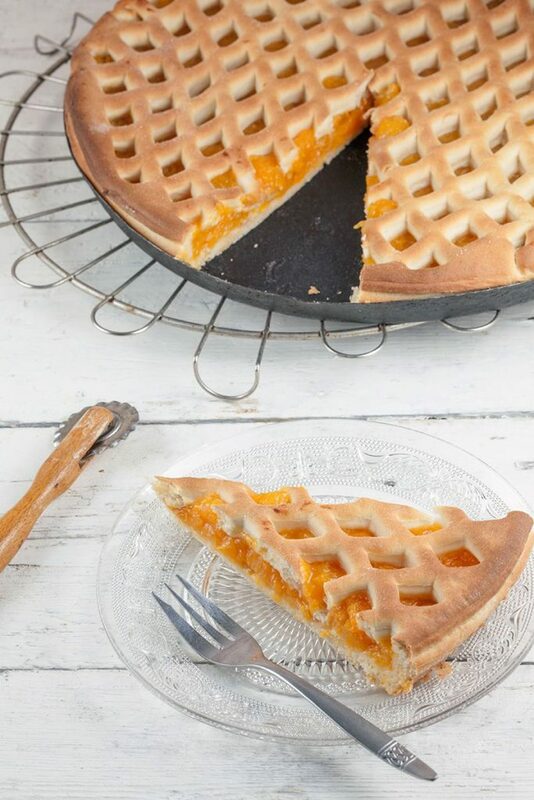 One of the most well-known pies from the south of the Netherlands: Dutch apricot pie. The diamond-shaped top is very authentic. *Note: You need to soak the dried apricots first. After soaking you need to cook the dried, and the fresh ones, with some sugar until they’ve become compote. First we’re going to make the dough, because it needs time to rise. 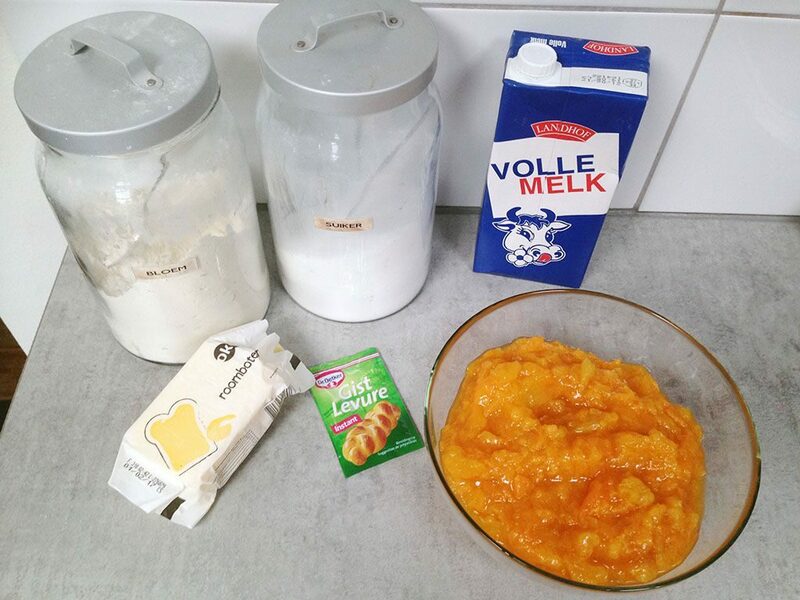 COMBINE flour, yeast and sugar. HEAT butter along with the milk until it’s lukewarm. This shouldn’t be too warm, otherwise the yeast won’t work as well. KNEAD the dough for a few minutes, until it’s smooth and elastic. TRANSFER the dough ball to a bowl, cover with cling film and let it rise on a warm spot for about an hour. COAT the pie form with butter and a thin layer of flour. DUST the work surface and rolling-pin with flour and roll out the dough until it’s quite thin. Make sure you’ll have enough dough for the top of the pie. 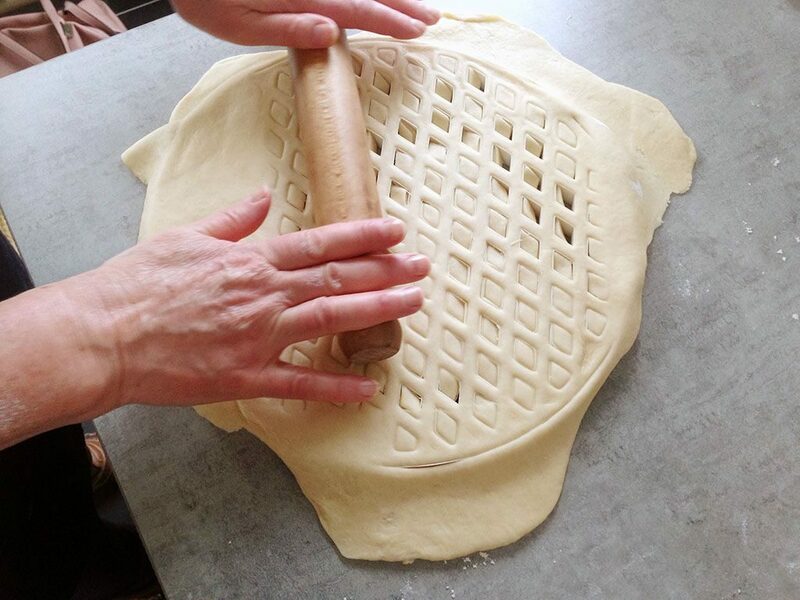 TRANSFER the dough to the form, remove excess dough and press it downwards with your hands. POKE holes in the bottom with a fork and let the dough rise for another 15 minutes. PRE-HEAT the oven to 250 degrees celsius or 480 degrees fahrenheit, this type of pies will bake shortly in a very hot oven. DIVIDE a small layer of bread crumbs on the bottom of the pie. ADD sugar to taste to the apricot compote and DIVIDE over the bottom. 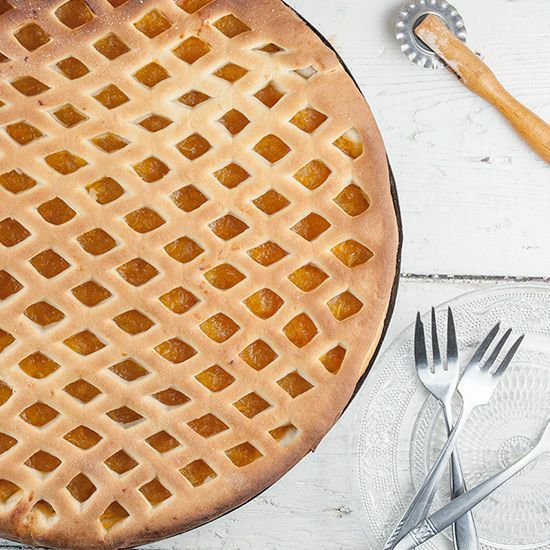 CREATE a diamond-shaped top using the crust cutter or simply cut some strips to place on top of the pie. You can add some extra sugar on top if you like. BAKE the pie beautiful golden brown in about 10 minutes, depending on your oven. 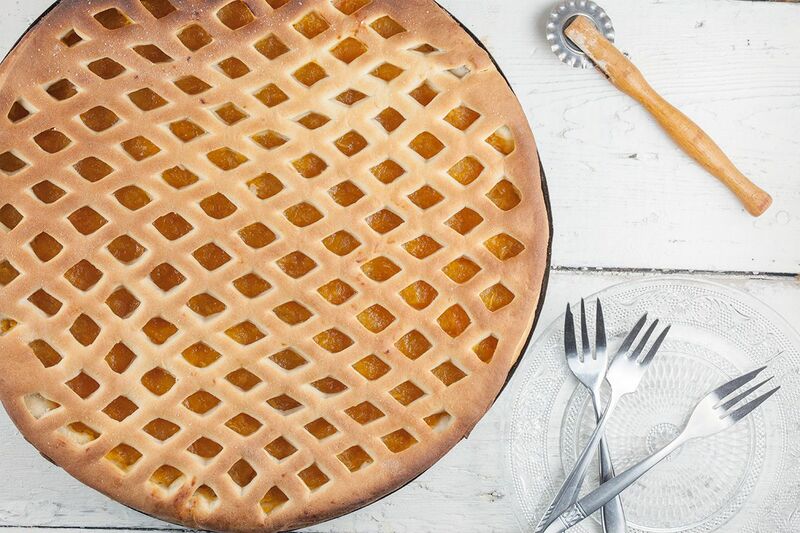 Let the pie cool off and enjoy!